Comenius Project 2nd year: Studying Technologies Of Regenerative Energies The solar energy is not among the most exploited, although it is among the easiest. 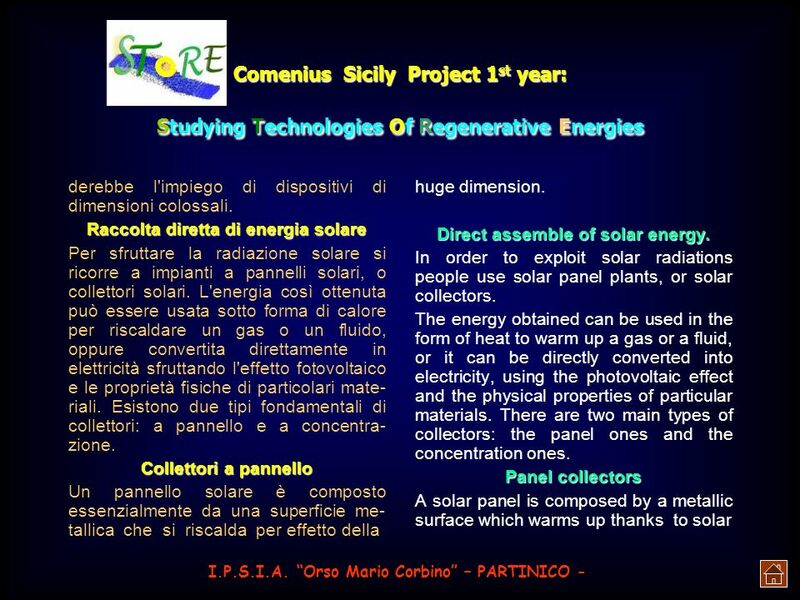 14 Raccolta diretta di energia solare Direct assemble of solar energy. 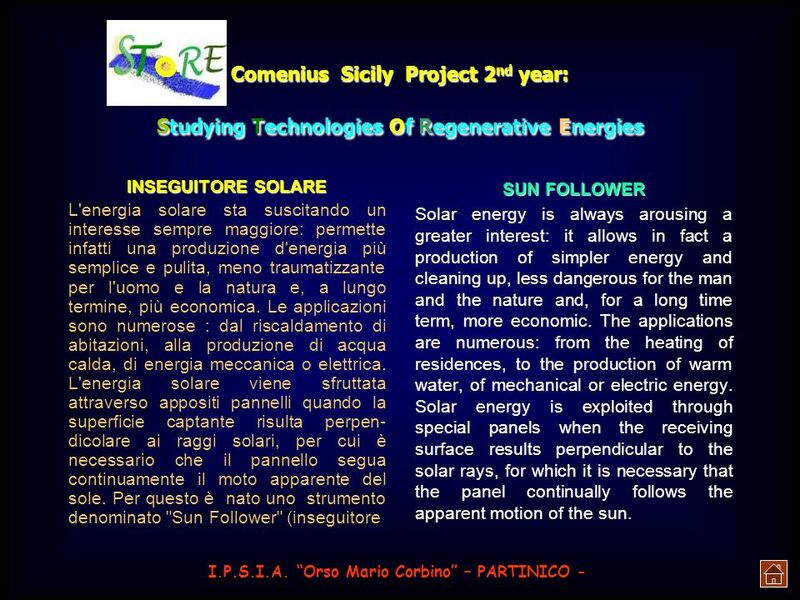 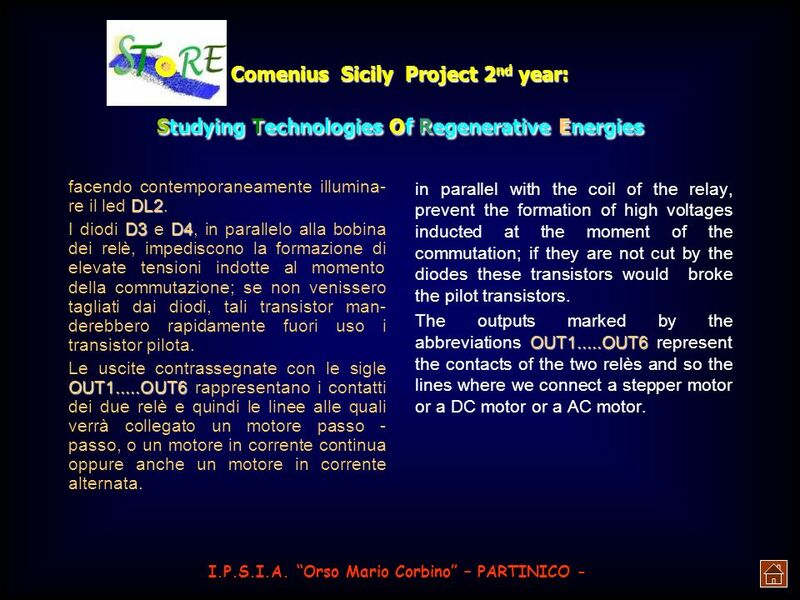 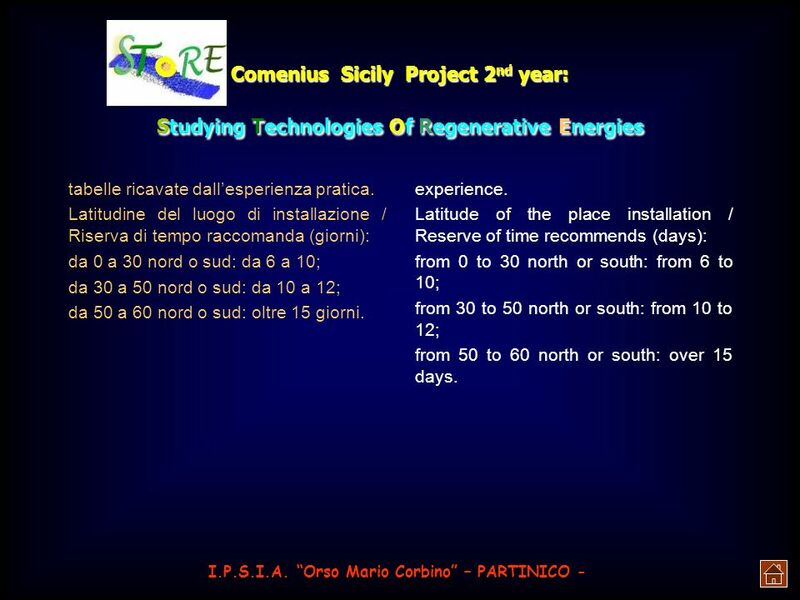 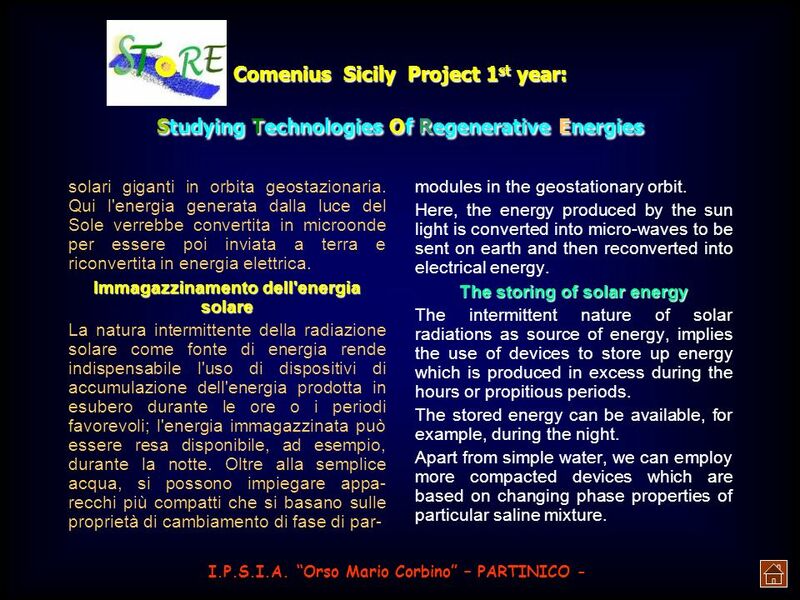 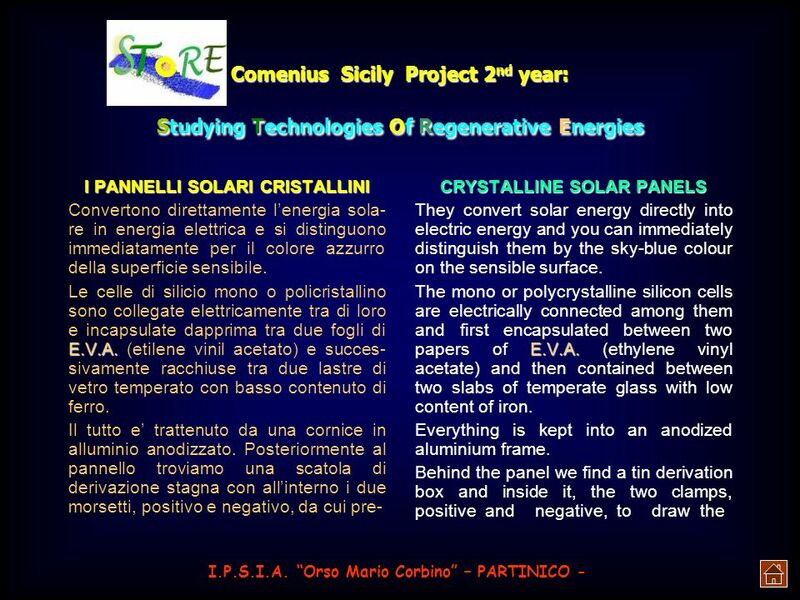 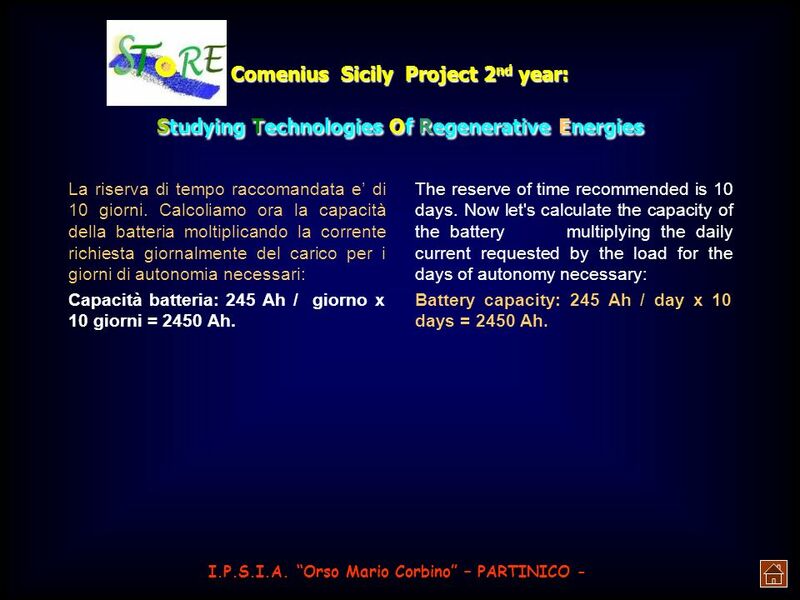 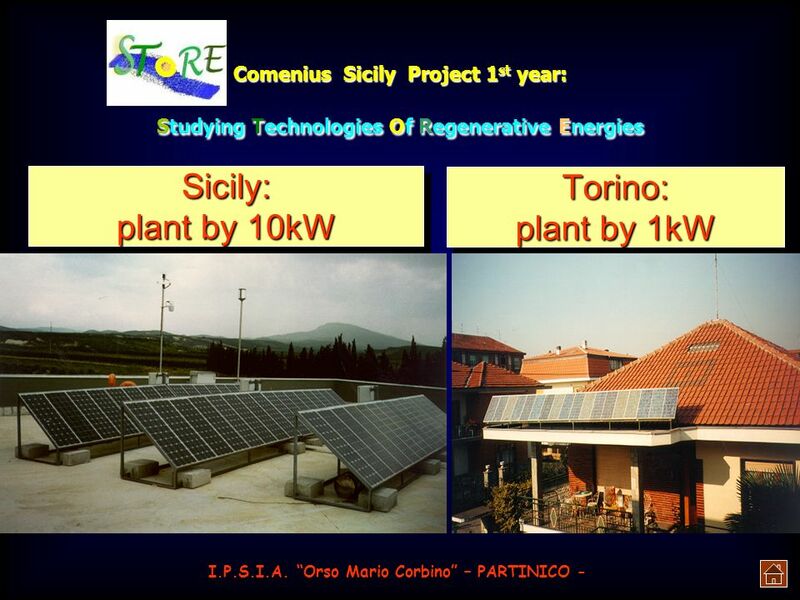 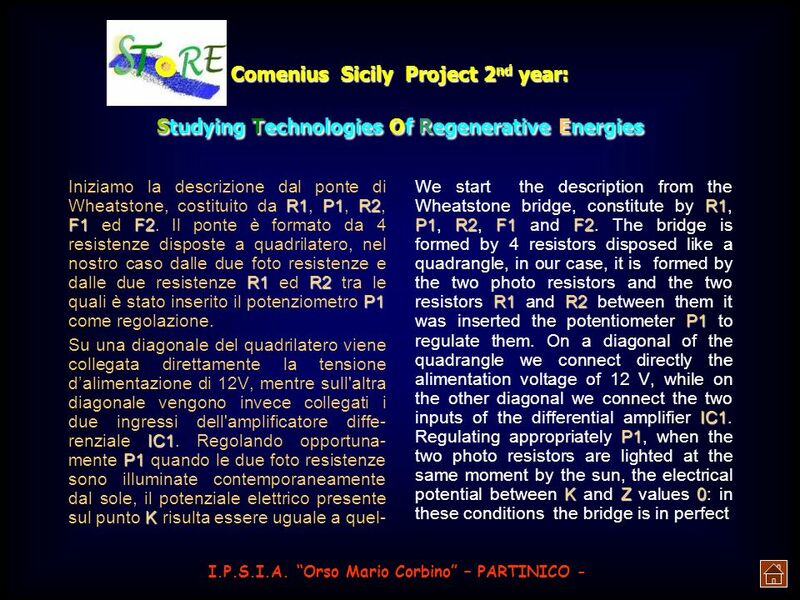 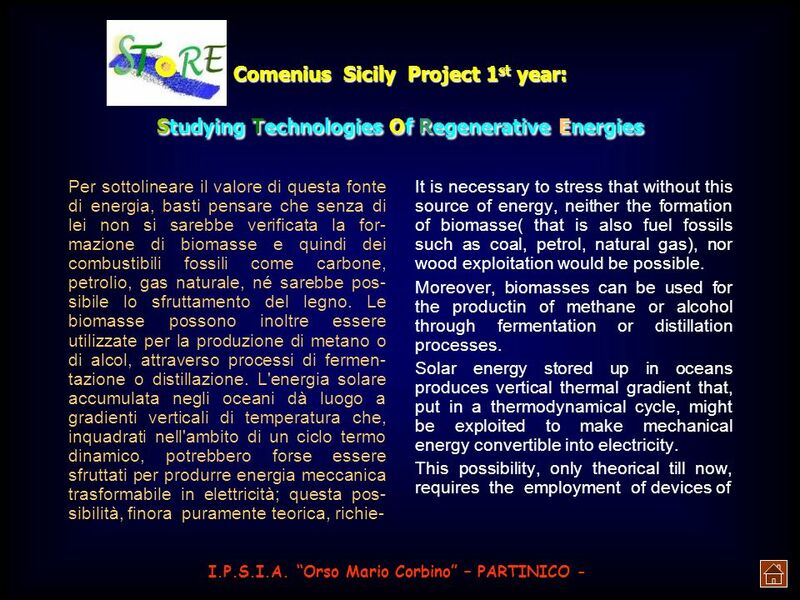 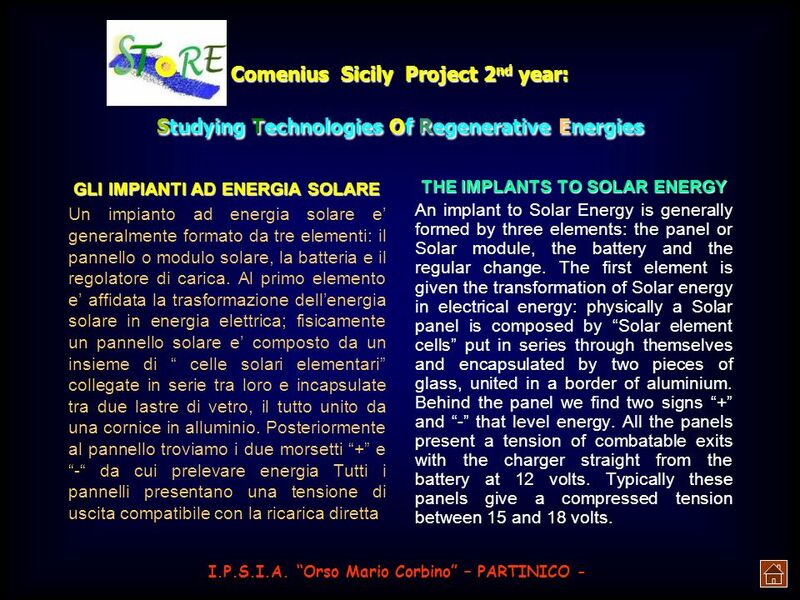 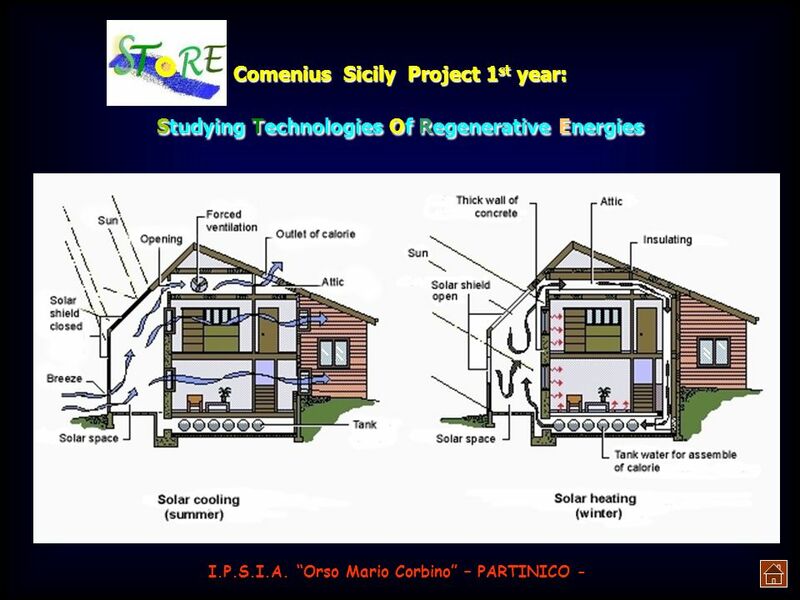 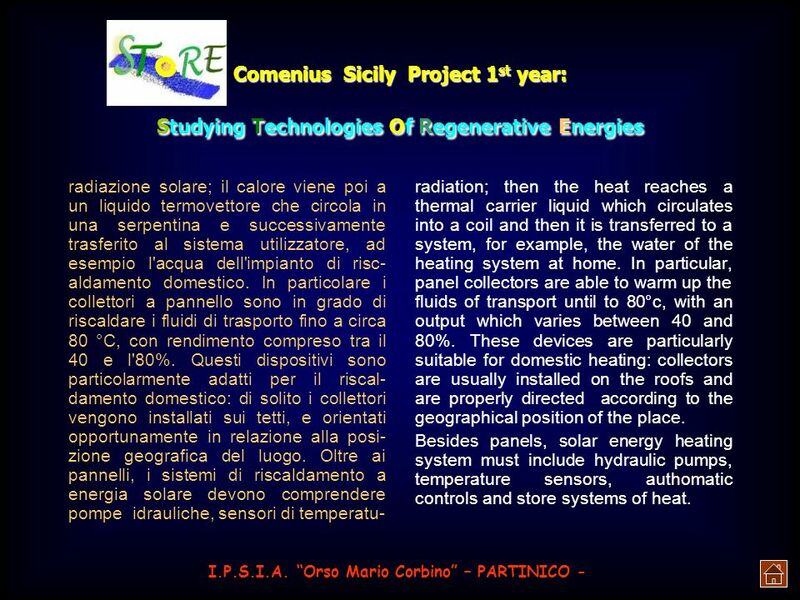 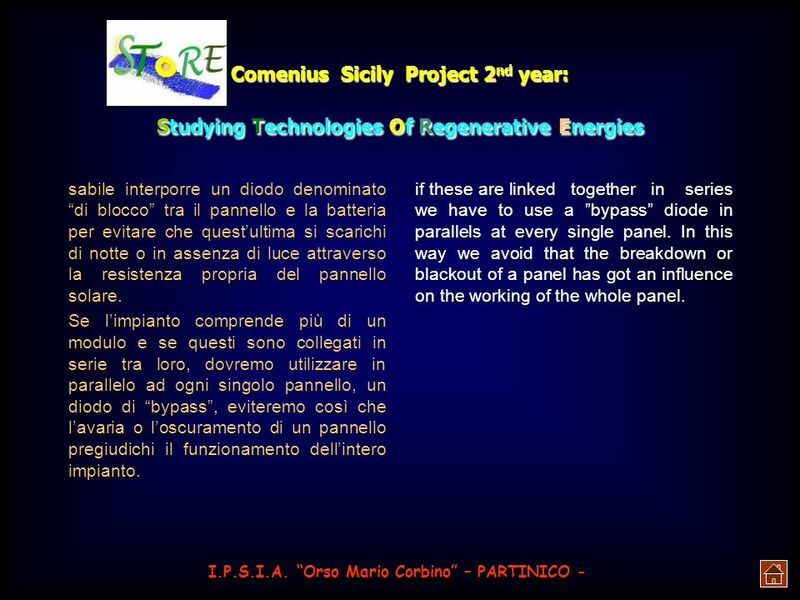 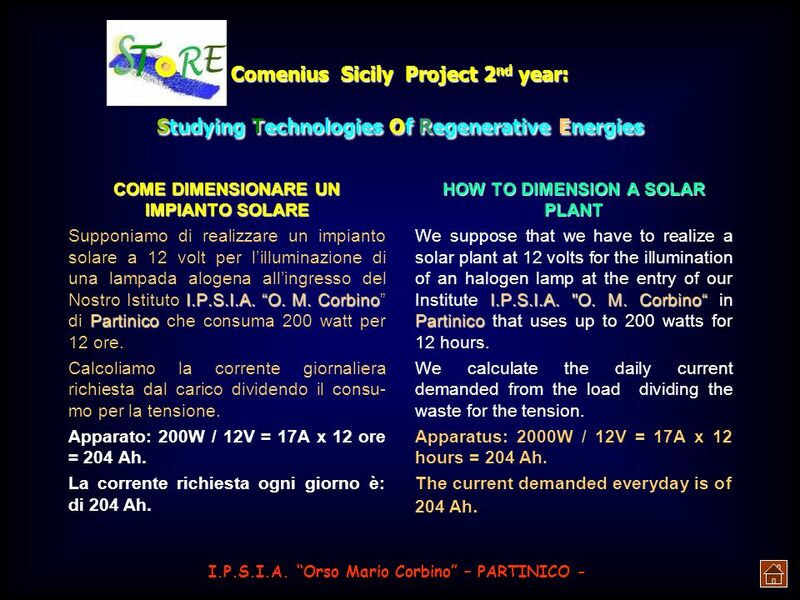 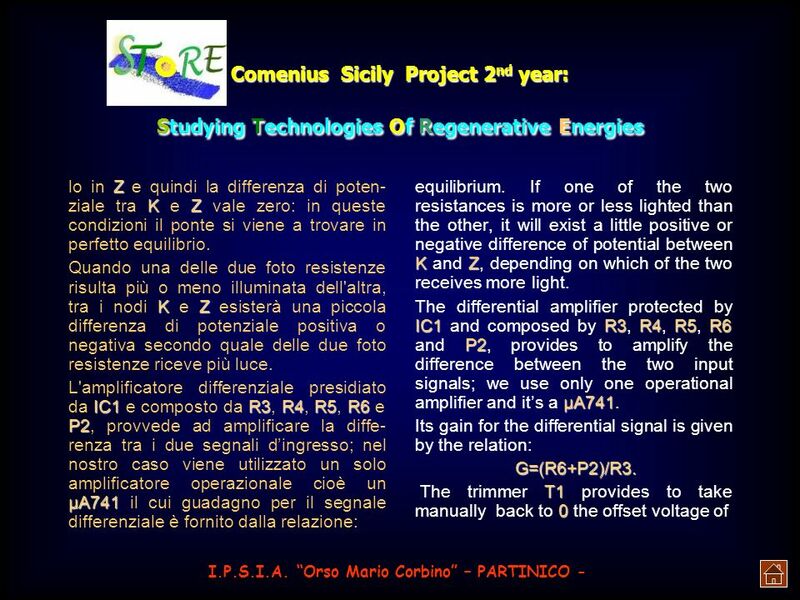 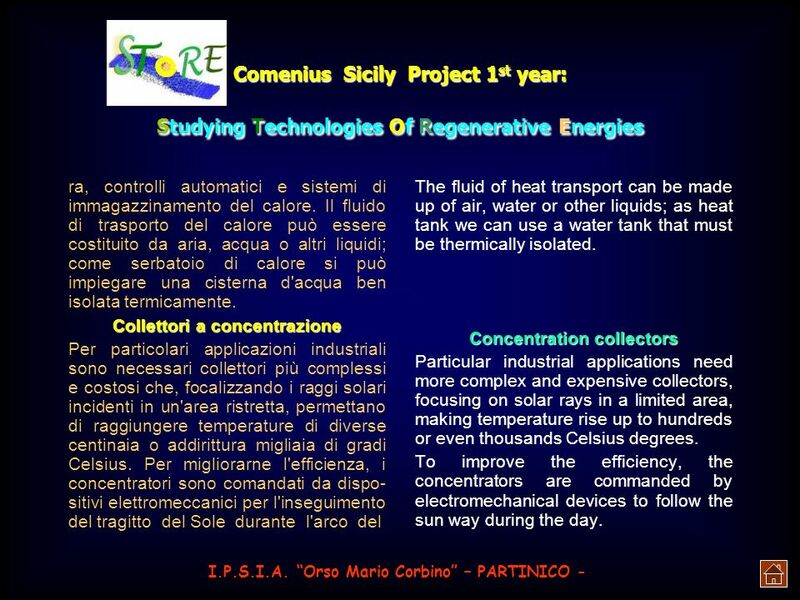 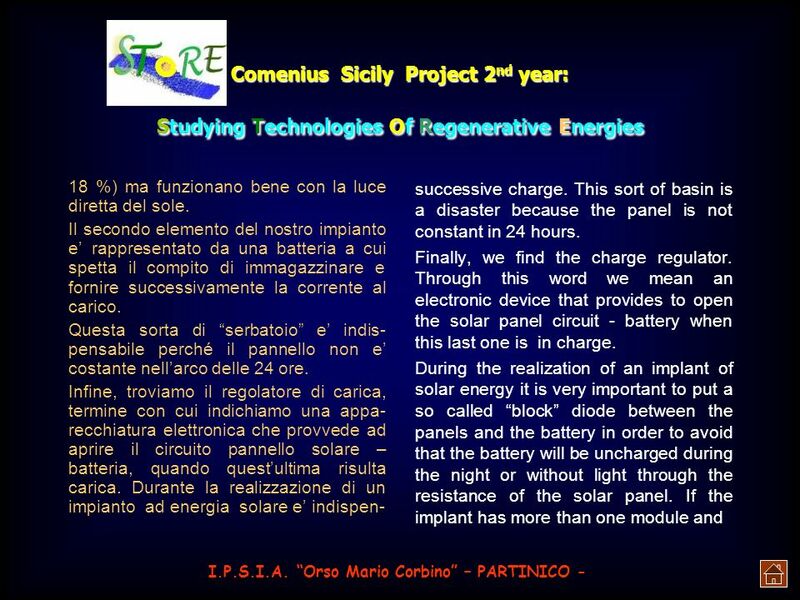 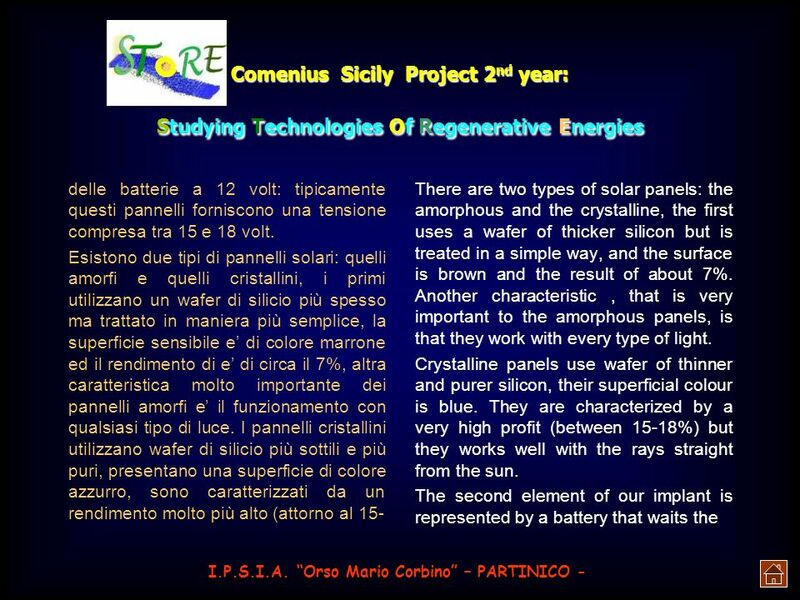 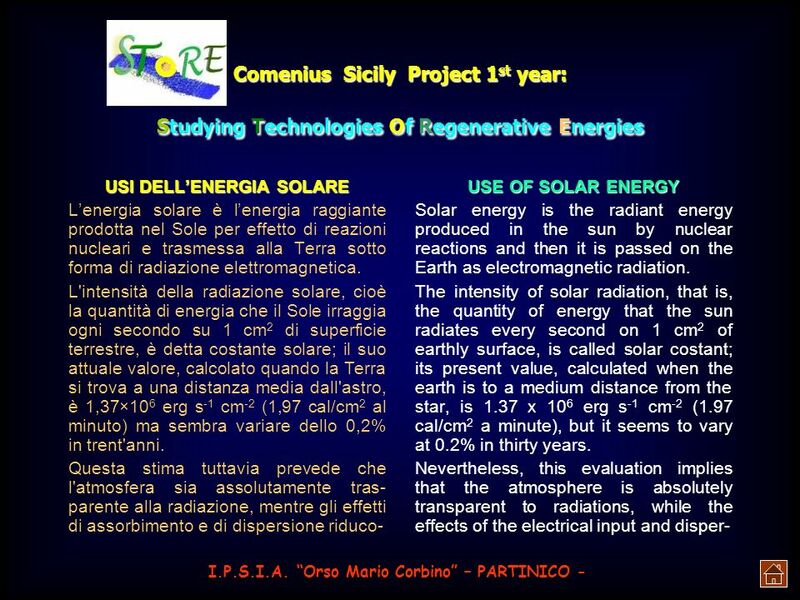 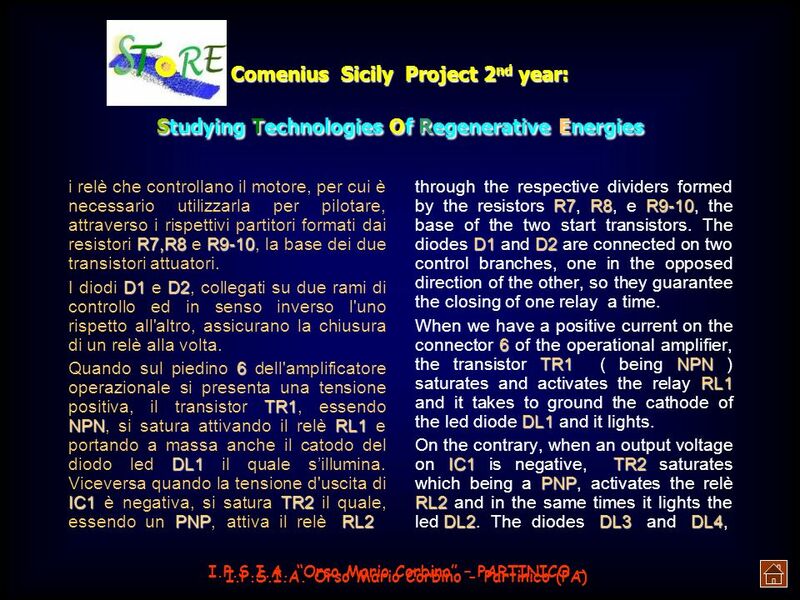 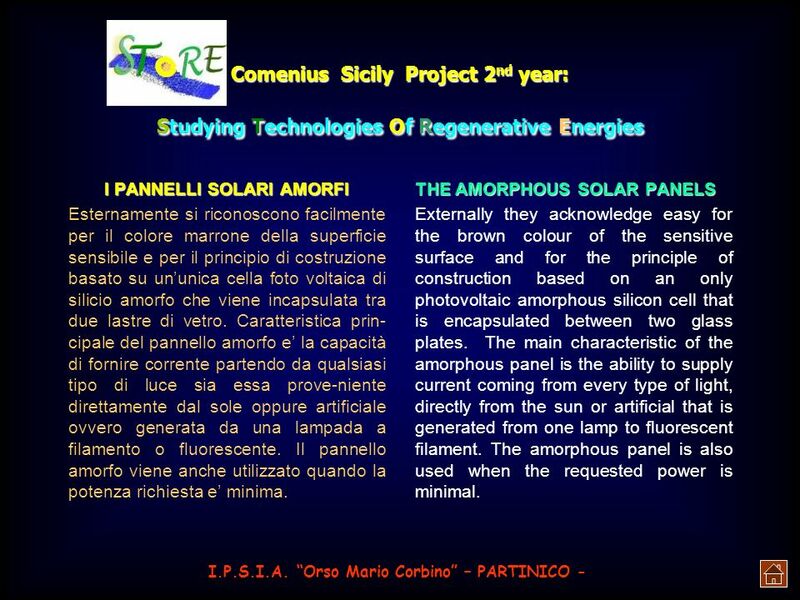 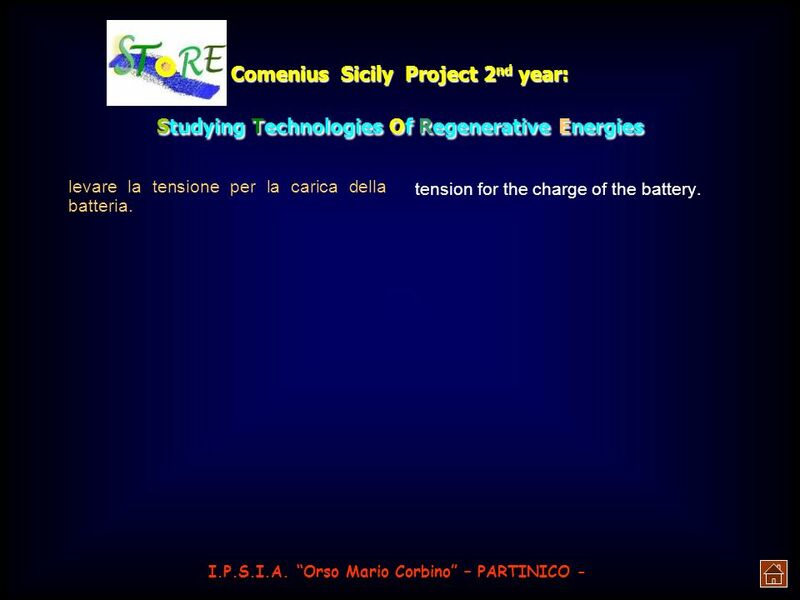 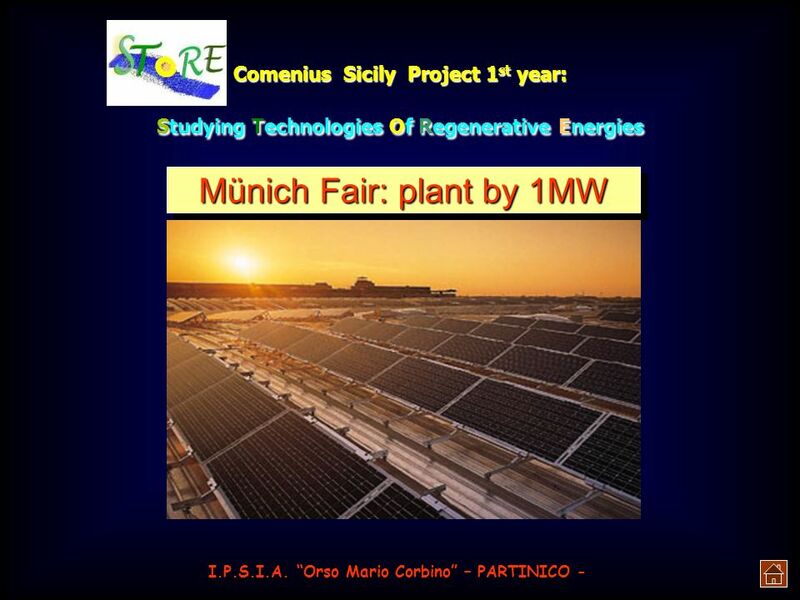 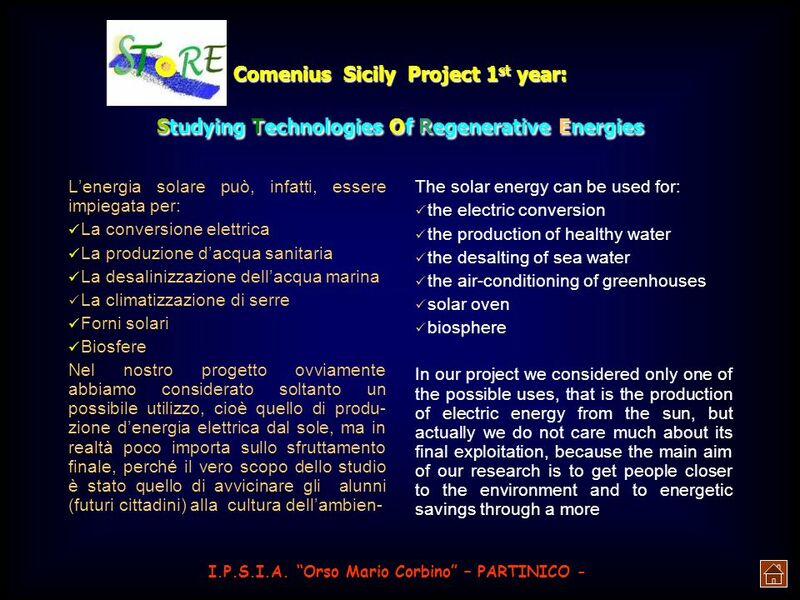 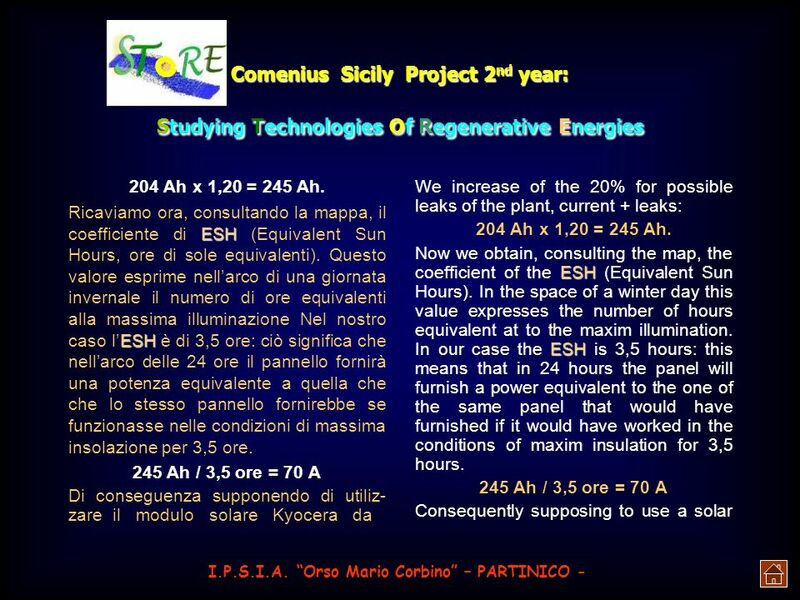 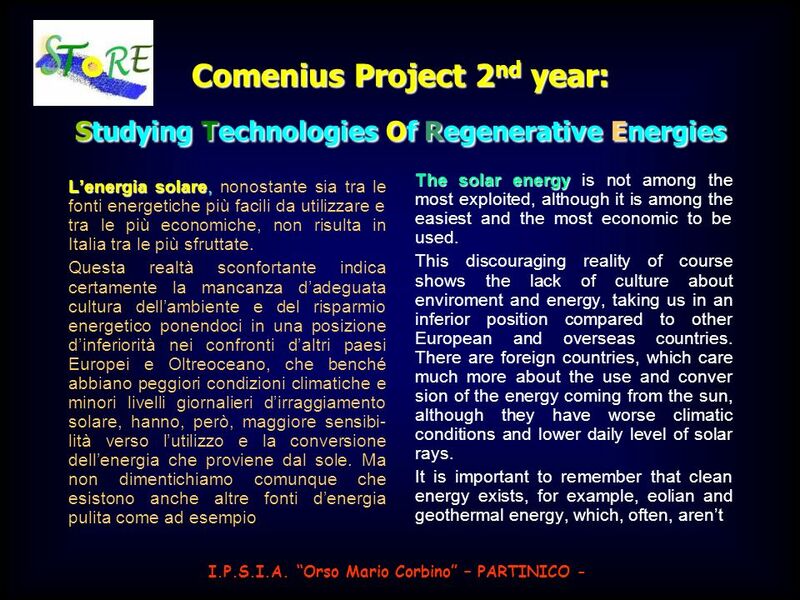 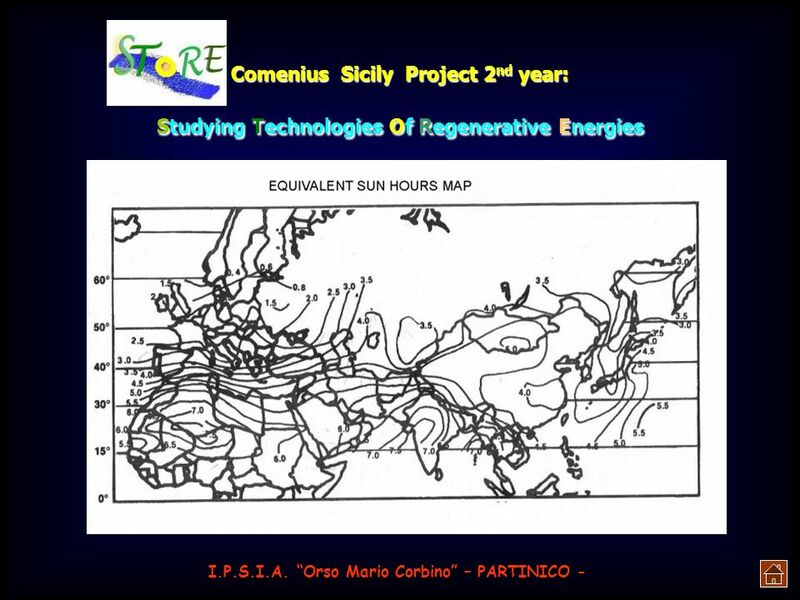 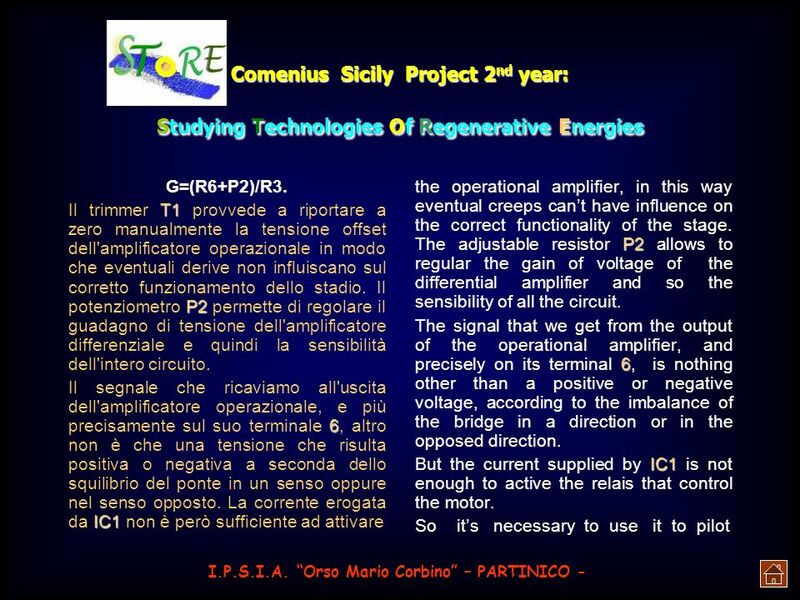 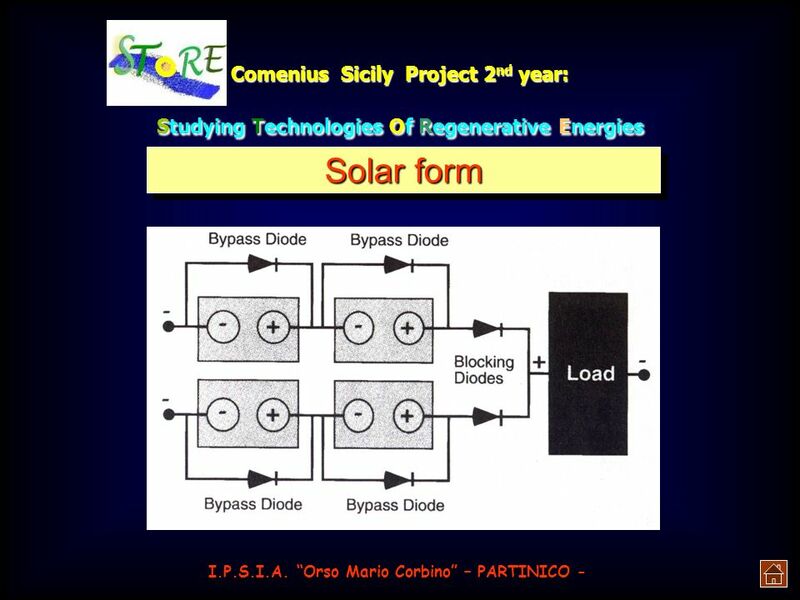 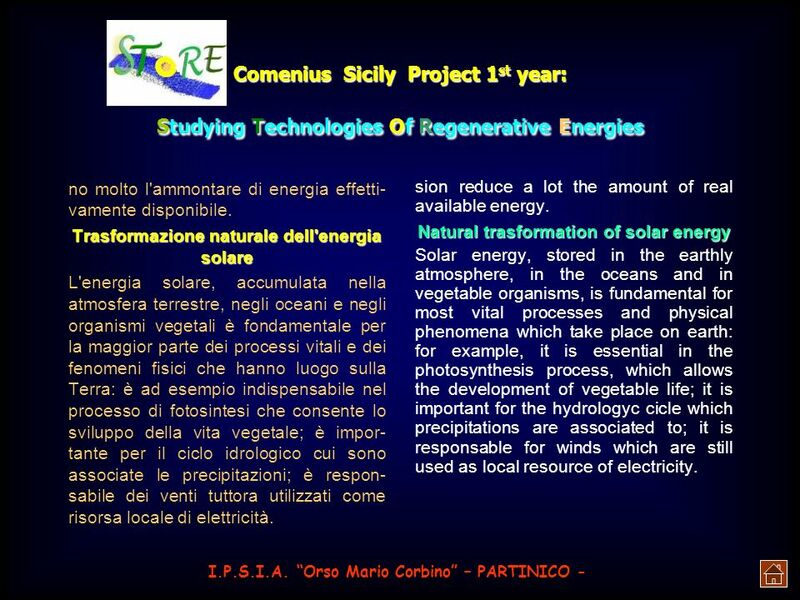 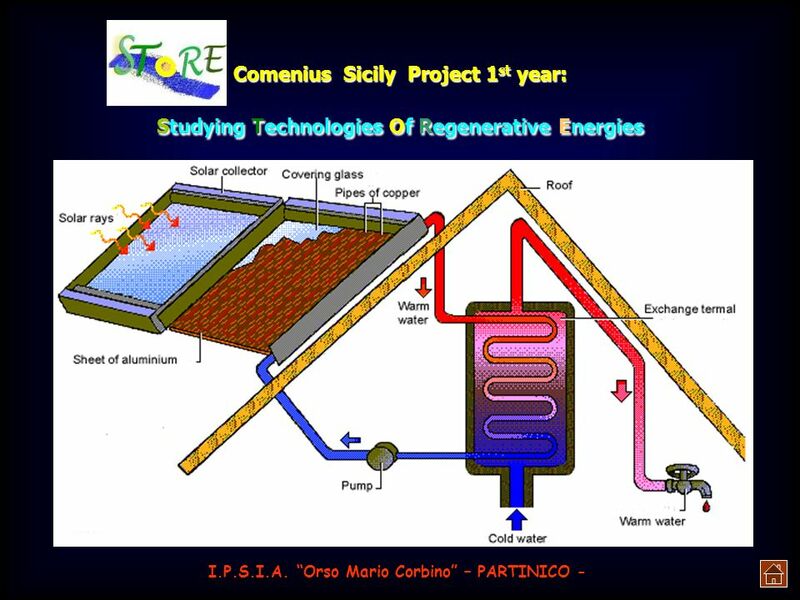 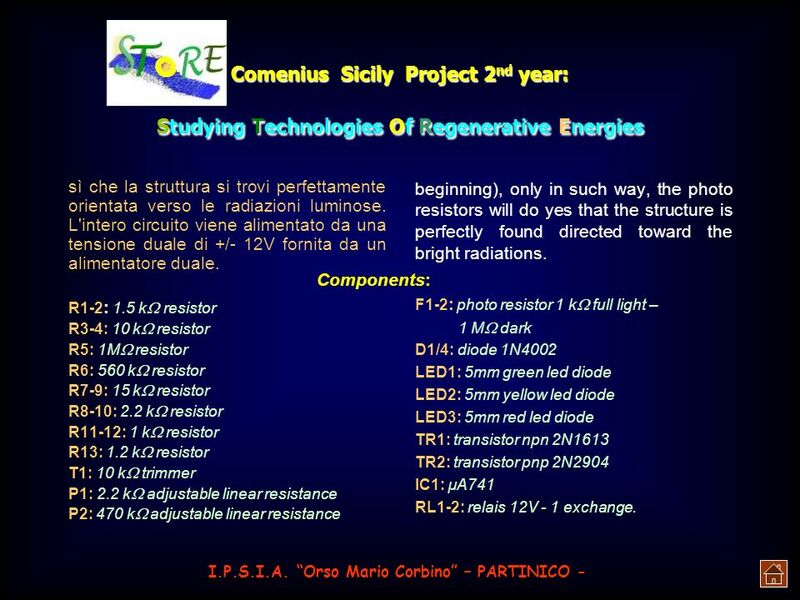 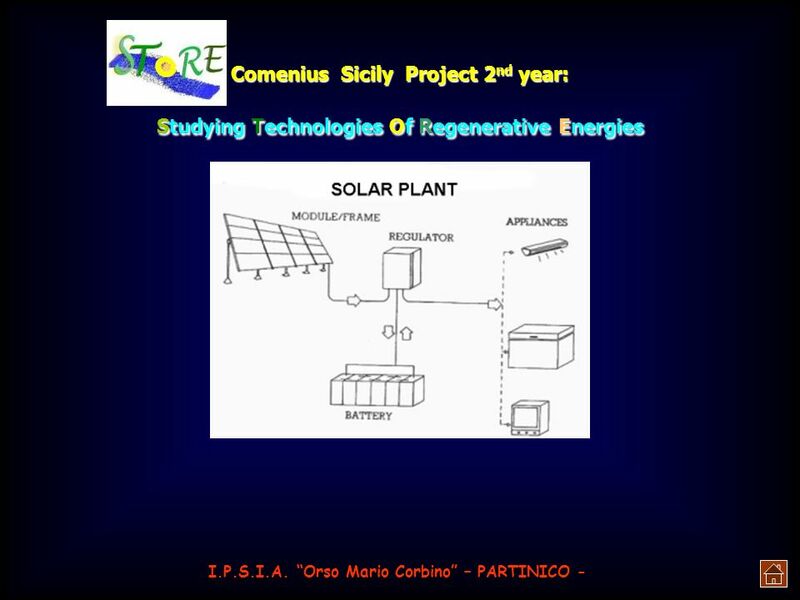 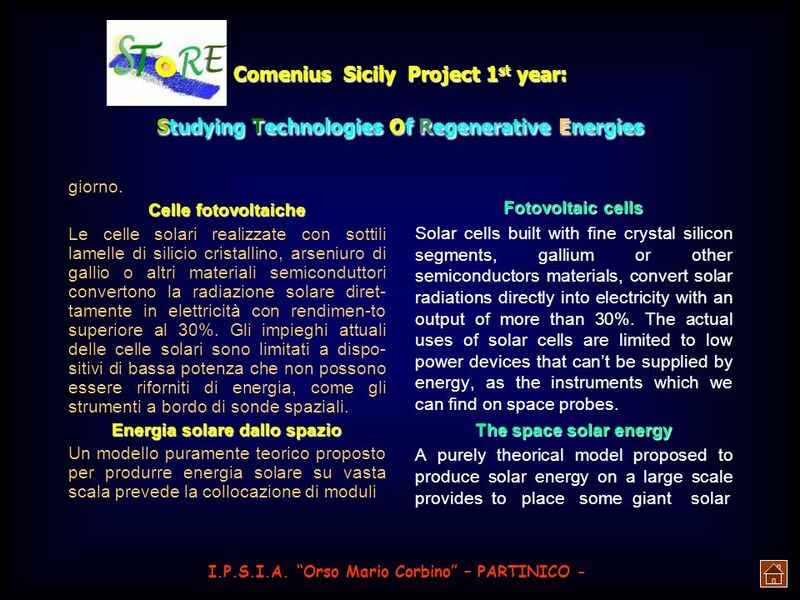 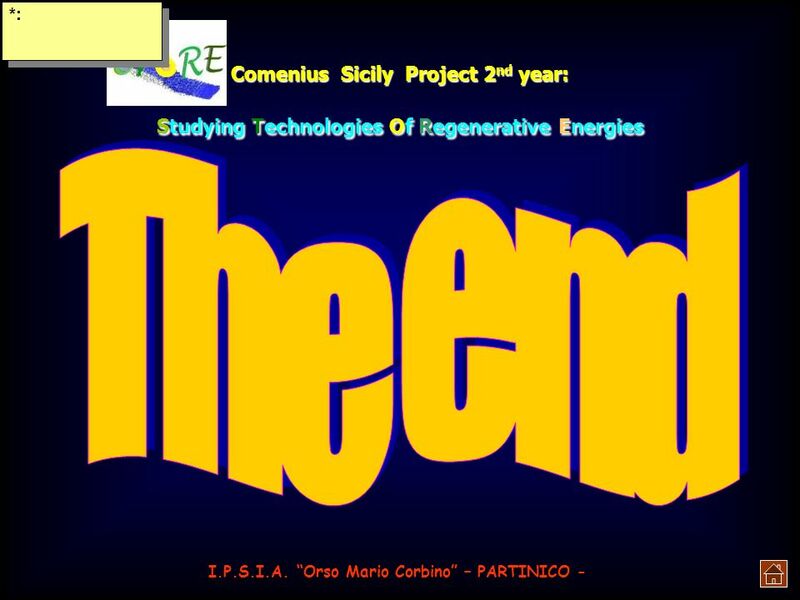 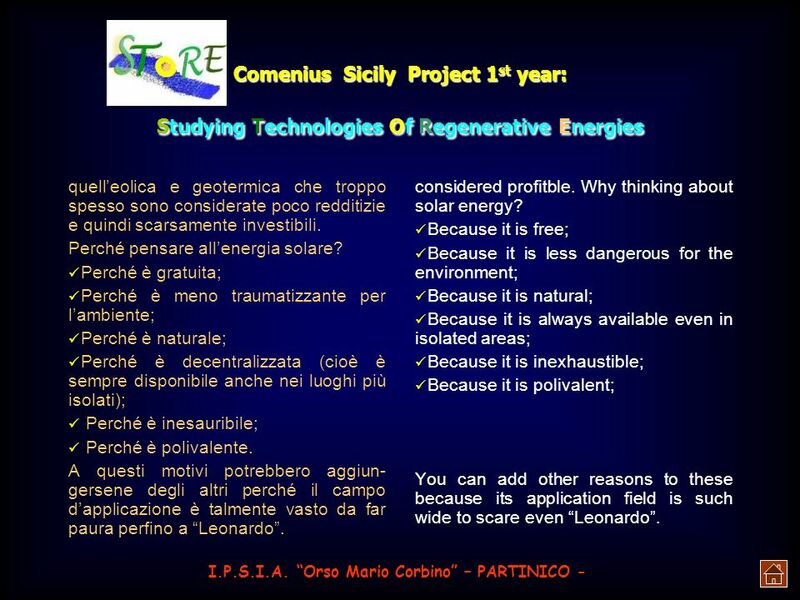 Scaricare ppt "Comenius Project 2nd year: Studying Technologies Of Regenerative Energies The solar energy is not among the most exploited, although it is among the easiest." 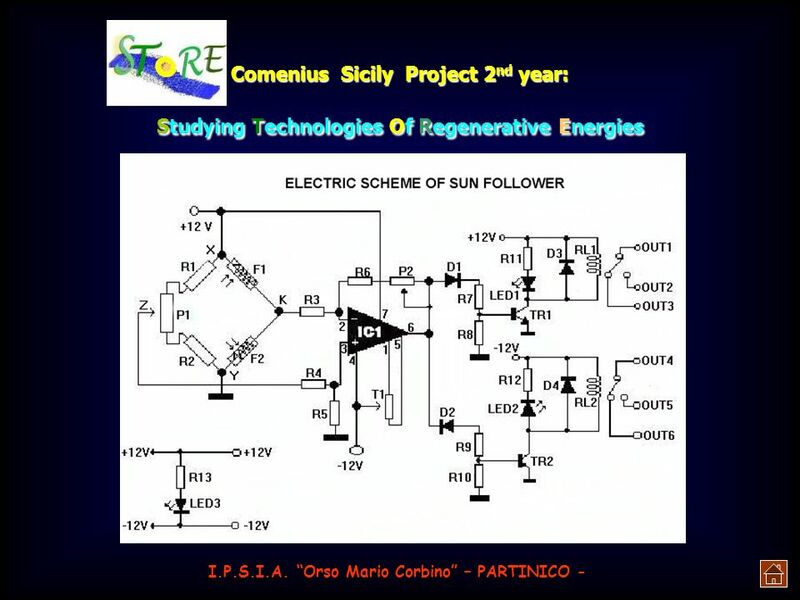 ALTERNATIVE FUELS AND VEHICLES VEICOLI ELETTRICI Carlos Sousa AGENEAL, Local Energy Management Agency of Almada. 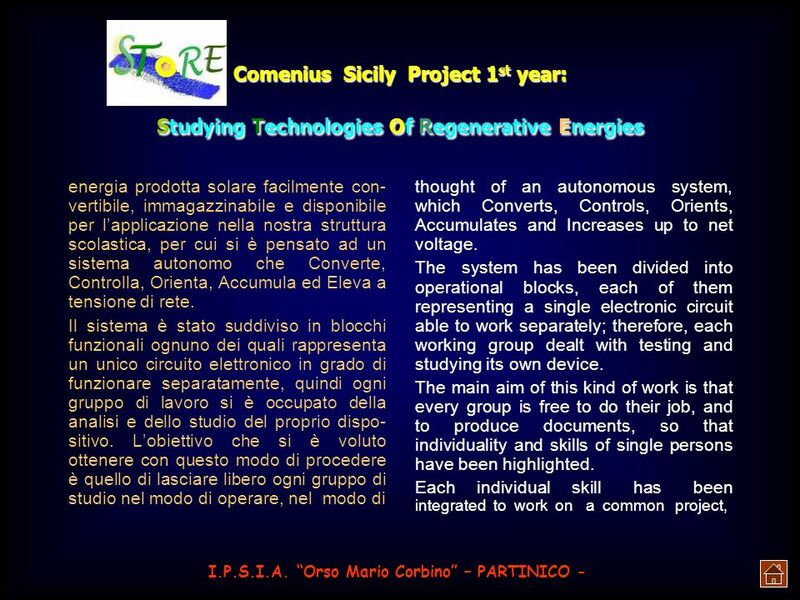 Comenius Project: Studying Technologies Of Regenerative Energies Lenergia solare, nonostante sia tra le fonti energetiche più facili da utilizzare e tra. 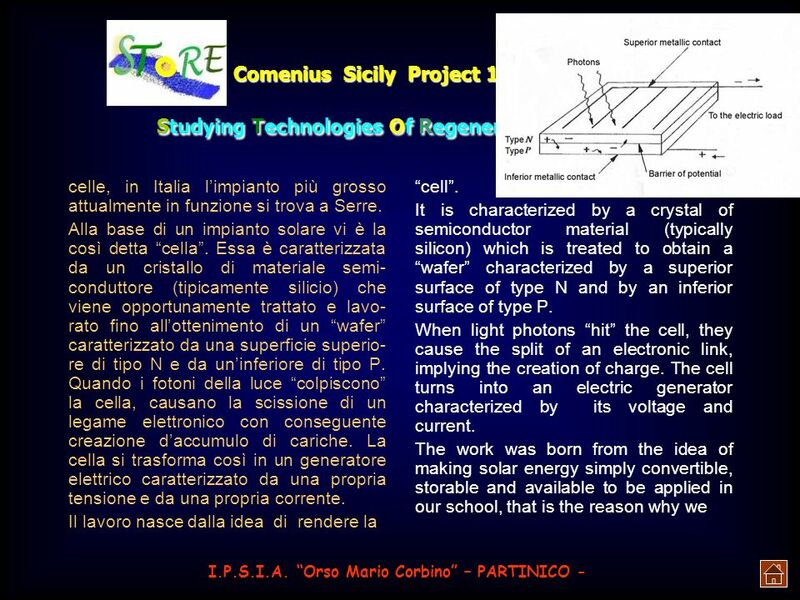 Lingua Inglese Comunicazione e Pubblicità Lesson One What is a Text?